India's second-largest IT services firm Infosys Ltd has decided to invest $4 million in Delaware-based startup Waterline Data Science Inc, which helps companies make sense of large data sets, according to a stock market disclosure. It will pick a minority holding in Waterline Data Science as part of a Series B funding round for the startup, not exceeding 20 per cent of the outstanding share capital of the firm, and expects to close its investment by 4 February. Founded in 2013, Waterline Data Science provides scientists and business analysts with a self-service data catalog to help discover, understand and provision data and an automated data inventory that enables agile data governance across metadata, data quality and data lineage. The startup is backed by former LinkedIn executive Dipchand ‘Deep’ Nishar, Menlo Ventures and Jackson Square Ventures (formerly Sigma West). “We see a need for automated data discovery solutions like Waterline Data Science in helping our clients achieve greater business value from their Big Data assets. This investment underscores our commitment to our clients to bring innovative data science solutions across platforms and offerings,” said Ritika Suri, senior vice-president of corporate development at Infosys. "We believe that this partnership will provide significant value to our customers as we combine Waterline Data Science offerings with Infosys' global presence and broad industry expertise," said Alex Gorelik, founder and CEO of Waterline Data Science. The deal marks the seventh investment from Infosys’ $500 million innovation fund that seeks to back startups around the world. 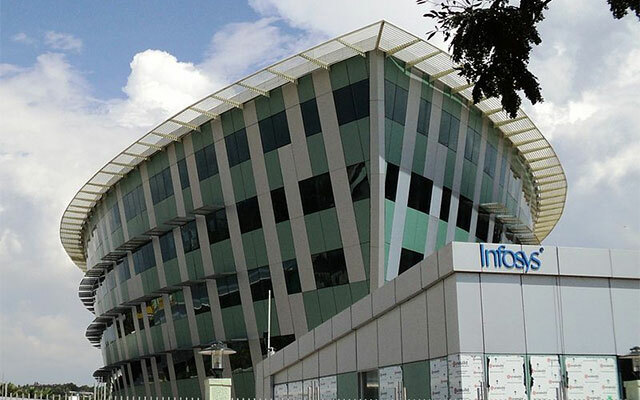 Bangalore-based Infosys is actively scouting for companies working on innovative technologies. Earlier this year, it had announced a $500-million Innovation Fund, earmarked for investments in the growth of disruptive new technologies. It had also stated that it will be investing in companies that develop innovative technologies on automation, Internet of Things (IoT) and artificial intelligence (AI). In December, it invested $3 million (around Rs 20 crore) in WHOOP Inc, a US-based startup that offers performance optimisation solutions for professional athletes and sports teams. Prior to that, Infosys had picked up a minority stake in CloudEndure, an Israeli startup that provides cloud migration and cloud-based disaster recovery software, for $4 million. The Innovation Fund has also made investments in cleantech startup Airviz, strategy and implementation services provider ANSR Consulting and Nova, which is a spin-off from DreamWorks Animation, an animation technology and animation film producer. It has also backed VC fund Vertex.